NSW Health says 178 confirmed cases of influenza in the week ending July 1 - 50 more than the previous week's tally. But it represents less than a quarter of the 946 people who were affected this time last year. 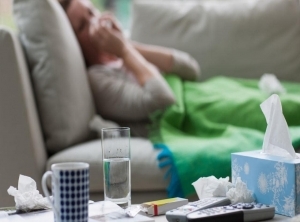 "While flu case numbers are still low across the state, they are starting to rise and we're seeing influenza A (H1N1) emerge as the predominant strain," the department's Vicky Sheppeard said in a statement on Friday. "Children and young adults are particularly susceptible to this influenza A strain, which first emerged as pandemic influenza in 2009." Nearly 6000 people presented to emergency departments in the week with respiratory problems, fevers or unspecified infections. Dr Sheppeard said it was not too late to vaccinate and urged people but especially children, pregnant women and parents of young children to get the flu shot.